Sometimes, on the surface, an update seems like a simple new feature. But, it’s those little things that will put a app from the third launcher screen to the front ‘most used’. Awesome Note HD (also does tasks and diaries) was updated this last week. The changes escaped most of us, just another app getting updated. 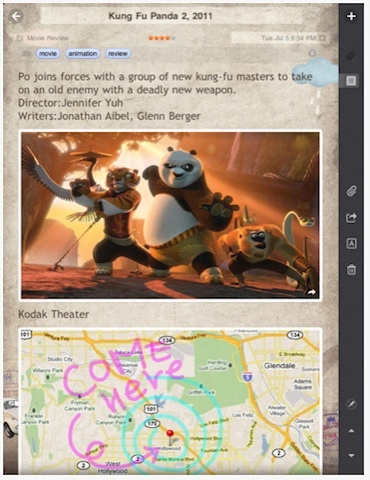 Going back over the last updates, a feature stands out… the ability to add a drawing to a Note or Task. It seems like such a simple thing but most apps do either hand drawings or typing. Or, they have it all on one page, which works good for work notes but not so well for dividing information in a single view. Awesome Note accomplishes pulling multiple types of information into a single view for quicker reference. We wont go into all the standard features of Awesome Note, leave it to being an app for creating and managing notes and tasks… landscape and portrait views. 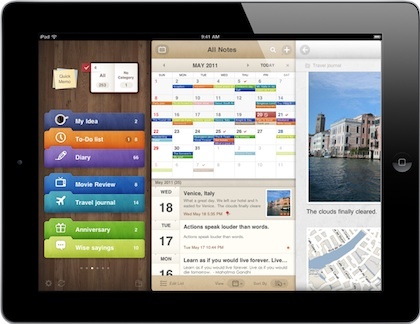 A single app to manage notes/tasks through folders and calendar views.